Key to that new strategy was the implementation of Matrix WMS in order to deliver further functional improvement, better stock visibility and tighter controls which together drive increased logistics productivity for Western Power. CEVA Logistics has been providing a comprehensive range of logistics services to Western Power since 2008. In addition to warehousing, transport, depot management and reverse logistics it also provides value added services including cable cutting and coiling, evidence retention, “pole to hole” management, bundling of transformer returns, emergency call-outs and quarantine management. The launch of Matrix WMS and the pooling of all specialist knowledge between the two teams helped achieve its seamless induction. 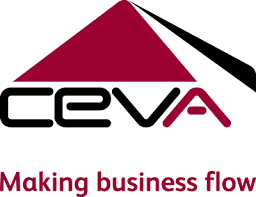 CEVA Logistics, a leading global asset-light supply chain management company, designs and implements industry leading solutions for large and medium-size national and multinational companies. Approximately 56,000 employees in more than 160 countries are dedicated to delivering effective and robust supply-chain solutions across a variety of sectors where CEVA applies its operational expertise to provide best-in-class services across its integrated network. For more information, please visit www.cevalogistics.com.